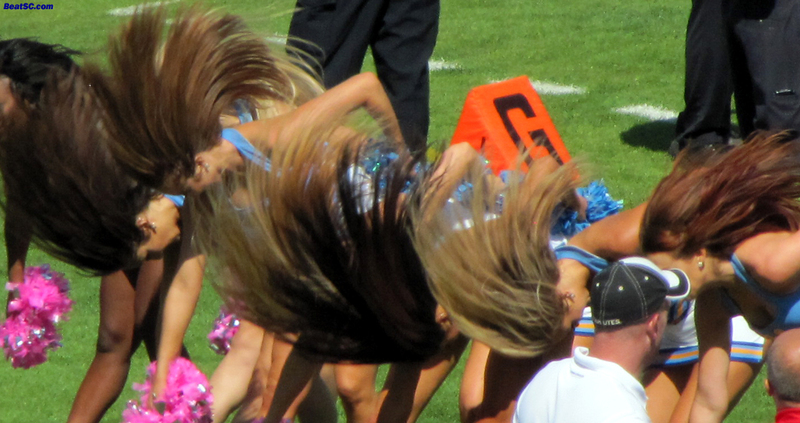 Best Buy may be “not long for this world,” what with everything cheaper somewhere online via Amazon or eBay, but a “Best Bye” is any one where you can check out a slew of brand new photos of the Bruin Cheerleaders. Even though UCLA didn’t score a single point or gain a single yard this weekend, they also didn’t commit any Personal Foul or Pass Interference penalties, so why not celebrate? Actually, the Spirit Squad is always worth celebrating, even after a blowout loss. So here are 40 more new photos from the Utah game, with about 80 more still to come during next week or two. "GOOD BYE TO YOU" was published on October 20th, 2012 and is listed in UCLA/usc/Cheerleader Photos.